I’ve read the Easter stories told by Matthew, Mark, Luke and John in the scripture many, many times, and have not been convinced. I’ve read (and heard) the sermons of the great master preachers throughout the centuries who have proclaimed a new Easter reality, but those sermons have not convinced me. I’ve read Luke’s story of the experience of those men on the Emmaus Road and been baffled by it—but not convinced of its reality. I’ve spent the majority of my life within the Christian Church and that experience has not convinced me of an Easter world. I’ve read the books of the great theologians and philosophers and even these have not convinced me of an Easter reality. But I am convinced, nevertheless, that an Easter world does indeed exist— but not through the Bible, the Church, or my reading, listening, or study. 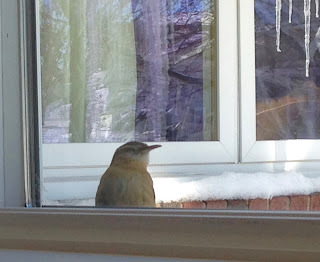 I am convinced out of my own experience—and yet not my own alone, for that would be wholly subjective. I am convinced of an Easter world in my own experiences—experiences which have been verified by the experiences of others over a period of two thousand years. Arthur Gossip, a Scottish Protestant minister, tells how he came in the late afternoon of an exhausting day visiting his parishioners in a working district in Glasgow and at four o’clock stood at the foot of a five-story tenement building where one of his parishioners lived on the top floor. He was exhausted and said to himself, “I’ll go home now, and come back tomorrow.” At that point, a vision of a pair of stooped grey shoulders started slowly up the steps and a voice seemed to say, “Then I’ll have to go alone.” Gossip said, “We went together.” I’ve known a similar experience. Peter Marshall, according to his wife’s account in “A Man Called Peter,” experienced an encounter during a storm when he seemed to hear a voice calling out to him. I’ve known something similar—though vague and difficult to describe. Gordon Cosby, founding pastor of the Church of the Saviour, shared his experience as a chaplain in WW II at the graveside of a friend, wherein he sensed, felt, saw, in the dimness of that moment of tears, an Easter world. Noble Ray Price (1926-2013) was a country music singer, songwriter and guitarist. His unique baritone voice was among the best male voices of country music. He was a favorite of mine from early boyhood which is why I purchased his album “Faith” back in 1960 while stationed on the island of Crete. (I still have the original album—but as the years have passed—I’ve moved from the LP to the cassette and finally to the CD version). I’ve listened to the album over and over again for almost 60 years and always at Easter. I listened yesterday and I will do so again today. Two songs in the album have shaped my theology and have carried me through the years. When I had the privilege of meeting Ray Price a few years ago, I told him how much his singing had meant to me, especially his album “Faith.” His humble response was “It’s the music. 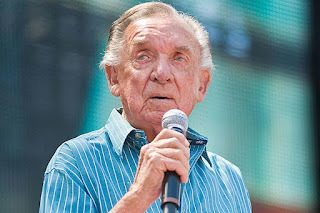 It’s the music that makes words speak.” I send the words without the music and without Ray Price’s wonderful baritone voice and I hope they will still speak to you as they have spoken to me. Ray Price continued to tour into his mid-eighties. The Cross itself has long since crumbled into dust. crucify Him all over again, with every sin of commission and omission. Yes, Calvary still stands, and the crowd at the top of the hill. The hymn asks us: Were you there when they crucified my Lord? Were you there when they nailed him to the tree? Were you there when they pierced him in the side? Were you there when the sun refused to shine? Where you there when they laid him in the tomb? Oh! Sometimes it causes me to tremble, tremble, tremble. Were you there when they crucified my Lord. We have all been there. Did we just stand there and do nothing? Did we just watch and never say a word? Did we participate in the ill treatment or the neglect? “Oh, sometimes it causes me to tremble, tremble, tremble.” Were You There when they (notice we always blame somebody else) crucified my (notice how we always take possession and want to claim him as our own) Lord? It wasn’t long after the first Easter that Christians began to deny Jesus and embrace Caesar, “the ‘pharaoh’ of the Roman Empire, as lord and savior.” The pressure to do so was intense. Jesus had left them “high and dry” (so it seemed) and now they were undergoing severe persecution—sometimes even more severe and cruel than the cross on which Jesus had died. They were having problems, too, with all those teachings of Jesus, as they came face to face with the real world. Jesus had said that everyone—poor and rich, outsiders and insiders, women and men, young and old, those who are healthy and whole and those who are sick, lost, empty, guilty, rejected, shattered, lonely, hopeless, depressed, oppressed—all were to live in relationship with one another and with the Creator who was mending and making a broken world whole. But who wants to carry the burden of the poor? Or the depressed? Who wants to live with the shattered? Who even wants to live in community if it means putting up with such folk? Who wants to live that way when there is a “world out there” that can give power, security, prestige, and position to “ME?” So, Christians, over the centuries, simply reconstructed Jesus’ teachings, turned “following Him” into a religion which allowed them to be with Caesar. They used the Easter celebration to do that. God is up there. Jesus has joined God in that other world beyond. We’ve been saved by Jesus’ death and resurrection and someday we’ll go there and be with Him. But in the meantime we have to make it here in the real world, and to make it here means we have to be tough and hard, we have to protect ourselves, and do what is best for us in the here and now. Our “acknowledged” neighbor has to do the same—and all those others (we don’t acknowledge) must fend for themselves as well. We are not responsible for them. She is YOUNG, only 37 years old and that is a negative in and of itself, especially to the old folk in government. She is from SOMALIA. That doesn’t help her any at all either. (Some tried to label Obama as being born in Kenya—as a put down). Being from Somalia has the same stain as Jesus being from Nazareth had: “Nothing good can come from Nazareth.” In today’s world many think “Nothing good can come from Somalia.” She is a WOMAN. That’s a strike against her, too. Misogynists have been around for a long time, especially in our political establishment, and do “their thing” in subtle ways. (ref. Feb. 2015 issue of Psychology Today). She is an IMMIGRANT. How have we colored immigrants recently? They are “bad” people, we are told, criminals, rapists, drug-dealers. She is BROWN—a woman of color. That doesn’t help her either. She is a REFUGEE. She spent over four years in a refugee camp in Kenya—(Oh no! Not Kenya again!). Her family came to the U.S. in 1995 seeking ASYLUM. How are we viewing asylum seekers today? The current Administration has implied, in spite of the law, that asylum seekers are somehow illegal immigrants. 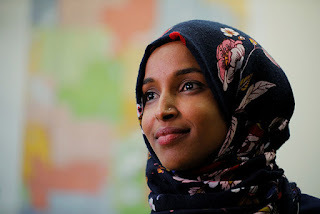 She is the first SOMALI-AMERICAN, the first NATURALIZED CITIZEN OF AFRICA, the first NON-WHITE WOMAN from Minnesota, and one of the first two MUSLIM WOMEN (along with Rashida Tlaib of Michigan) to serve in Congress. Yes, Representative Ilhan Omar is a MUSLIM. Ephebiphobia, Xenophobia, Misogyny, Racism, and Bigotry. 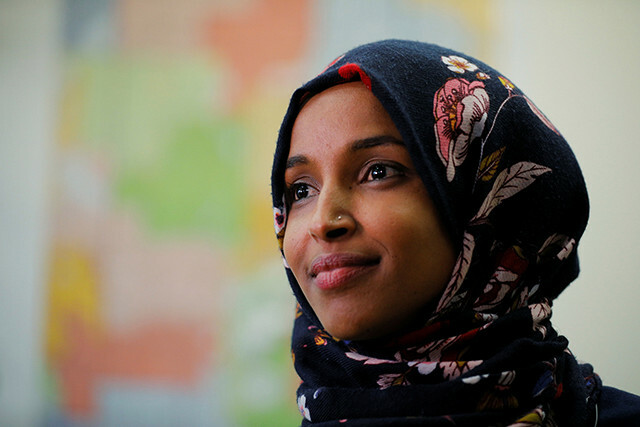 Ilhan Omar says, “I’m as American as everyone else,” but we won’t hear her, we won’t believe her, we won’t even see her for who she is. We will forever see her the way some IDIOT pictured her on that poster displayed at the State Capital in West Virginia: “Never Forget”—You Said…” and then below the burning towers, a picture of Omar and the words: “I am the proof you have forgotten.” We won’t hear her anymore, we won’t see her, we won’t accept her now, because the most powerful person in the world has done precisely what the IDIOT in West Virginia did!! False accusations, gross-distortion of what she has said and who she is, have made her “unhearable” and “unacceptable,” when, in fact, she has something extremely important to say to all of us. But, the President of the United States has decided to do her in: “Look—she’s been very disrespectful of our country. She’s been very disrespectful, frankly, to Israel.” Who's next, I wonder? The man who disrespects any and all who stand in his way has now become the authority on who is being disrespectful! And the Christians are silent, and the Muslims are silent, and Americans are silent. Gethsemane—all over again! Spend some time with the above quote. Think about it. Let it sink in. Are you familiar with the Osiris myth? You should be. Check it out. Do you know the other myths of the sons of God who die, conquer death, and rise again? There are many of them and every Christian ought to have some awareness of them: Tammuz, Mithras, and Balder, are but a few examples. Every spring (dating back to the 18th or 19th century before Christ) the life of Osiris was enacted in a stirring passion play in Egypt. Is our Easter simply a replication? Could it be that there is such paganism in our Christianity? Now I know the above is a bunch of words and that we stumble over them. Let me try in a more simple way to speak of the way up as the way down. Kazantzakis tells of meeting a woman who offered him food. “Do you know me, I asked…She glanced at me in amazement. ‘No, my boy! Do I have to know you to give you something? You’re a human being aren’t you? So am I. Isn’t that enough?’” The Gospel (the whole of the Easter story) and Jesus’ sojourn among us says that the way up is the way down. The way down is to take on the attitude of the woman: “Do I have to know you to give you something? You’re a human being aren’t you? So am I. Isn’t that enough?” Finally, that’s what Easter is all about—the way up is the way down. Some Christians will be celebrating Easter this coming Sunday; Orthodox Christians will celebrate Easter the following Sunday. It’s Easter, but we are still caught up in an Advent issue. “The Jesus who died to save all,” is now seen as having died to save but a few. The Jesus for whom there was “no room in the Inn” of Bethlehem is still facing a full house. There is “no room” available. “Our Country is FULL!” “This is our new statement: The system is full. We can’t take you any more. Whether it’s asylum, whether it’s anything you want, it’s illegal immigration. We can’t take you any more…Our country is full, our area is full, the sector is full. We can’t take any more. Sorry. Can’t have it…So turn around. That’s the way it is.” Thus spoke the President of the United States a week or so ago. It is a “tired rhetoric” that has “no grounding in historic or present-day facts,” but it goes on and on anyway. Forty-four percent of Fortune 500 companies in the United States were started by immigrants or their children. Steve Jobs’ father came to the U.S. from Syria after experiencing political persecution. Fortunately, for our economy, and for Steve Jobs, there was room for him. the Walls go up, and there is no room in the Inn. I Don’t Know Nothin’ Yet!